UMA DEWI is derived from Sanskrit words, Uma means rice or symbolic of prosperity and Dewi means goddess. UMA DEWI means Goddess of prosperity. 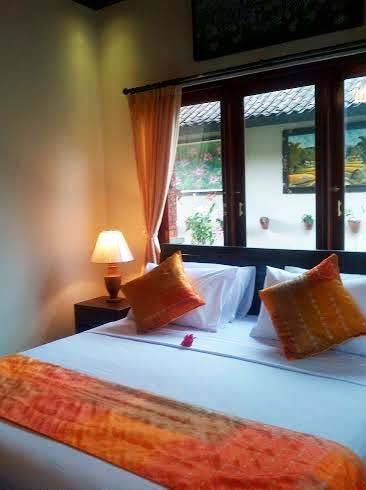 Uma Dewi Guesthouse is a perfect choice of a budget accommodation located in the heart of a famous village of Ubud with the beautiful nature and Balinese Art. A few minutes’ walk from famous Balinese fortuneteller’ house Ketut Liyer which was famous with the movie of “Eat, Pray, Love” by Elizabeth Gilbert, you can feel the thrill of the religious, culture and art activities of the area. 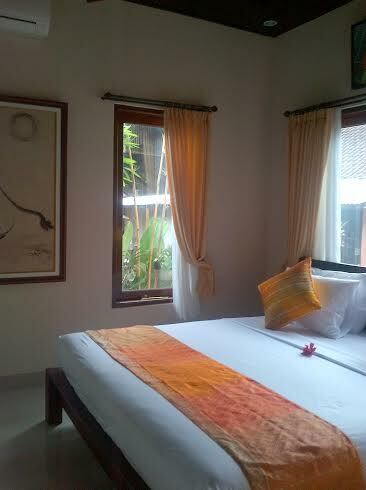 Uma Dewi offers the comfortable accommodation in the center of real Balinese society of life in Ubud Bali. 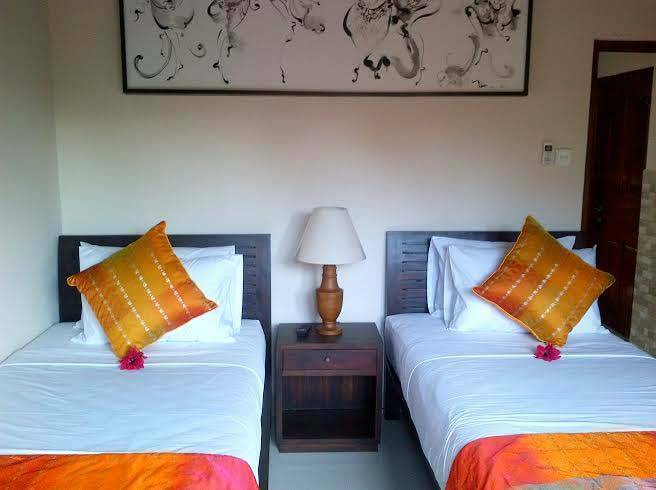 Set in the Balinese atmosphere which is famous with the high level cultural makes your stay more enjoyable. Learning a lot of the Balinese way of life, social activities and how easy to make an acquaintance with the Balinese people will bring you in such a new life experience. 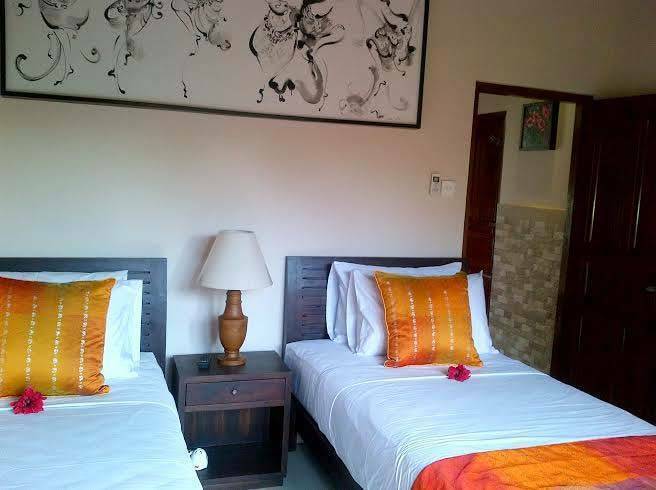 Uma Dewi Guesthouse provides 1 unit 3 bedrooms can be rent all or individually with a real budget accommodation and personality of the Balinese charming services for your holiday in Bali. The rooms are designed comfortable with Balinese architectures and it is surrounded by the lush tropical garden, flower and tropical orchids. Completing with air-conditioner in the bedroom, high quality of mattress & pillow will make you feel like staying in star hotel. 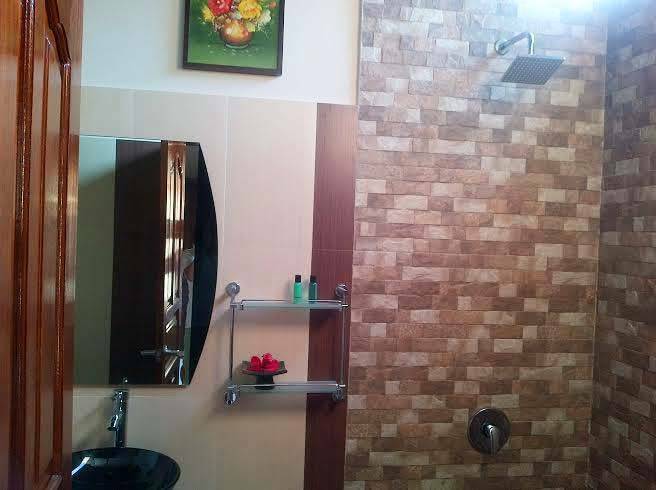 Bathrooms are designed with hot & cold water of showers facilities, toiletries and comfort bath & face towels. The museums, shopping areas, galleries, restaurants and Ubud monkey forest are the choice of your holiday to be explored within 10 minutes walking distance. And Ngurah Rai International airport is 45 minutes by car to Uma Dewi Guesthouse. Room completed by Air-condition, 29 inch fat TV, large double bed or Twin Bed & & hot & cold standing shower. Bath room amenities: Bath Towels, Face Towels, Bath Soap & Hand Soap, Shampoo, Conditioner & Toilet paper. Superior Double or Twin Bedroom completed by air-condition, 29 inch fat TV, large double bed or Twin Bed & & hot & cold standing shower. Bath room amenities: Bath Towels, Face Towels, Bath Soap & Hand Soap, Shampoo, Conditioner & Toilet paper. 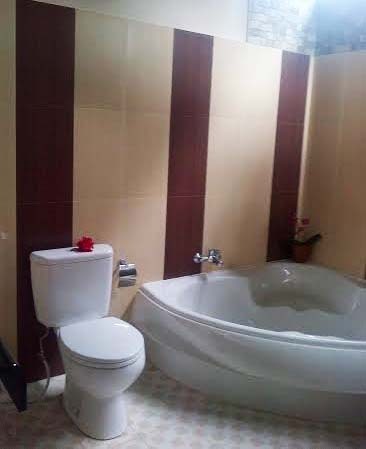 Deluxe Room completed by Air-condition, 29 inch fat TV, large double bed, bath tub, hot & cold standing shower. Bath room amenities: Bath Towels, Face Towels, Bath Soap & Hand Soap, Shampoo, Conditioner & Toilet paper. This property is next to Oka Home stay in Ubud and pretty closed with Ketut Liyer house a Balinese fortune teller. Located on Jl. Pengosekan Ubud, a few minutes’ walk from famous Balinese fortuneteller’ house "Ketut Liyer" which is very famous with EAT PRAY & LOVE movie by Julia Robert. Local taxi service can get easily, or use scooter to get it.